For years, game distribution platforms like Steam, GOG, Apple’s App Store, and major game consoles have generally taken a 30 percent cut of any revenue made from online game sales. Now, Valve is moving to change those terms to be more generous to Steam developers, but only for the absolute biggest games on the service. In an announcement posted late Friday, Valve said that it would lower its usual 30 percent take to 25 percent for any game’s earnings beyond $10 million (including “game packages, DLC, in-game sales, and Community Marketplace game fees”). The platform fee reduces further to 20 percent for earnings that surpass $50 million. 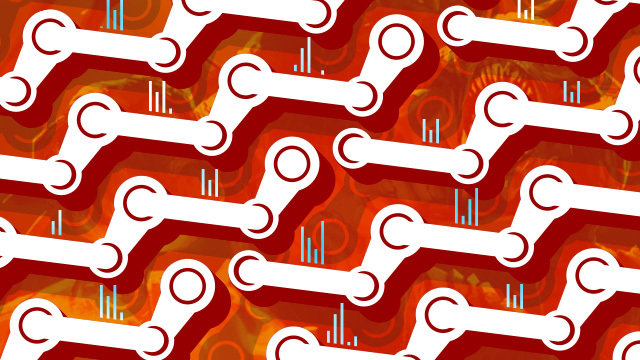 Valve’s move comes during a time when an increasing number of PC games are finding success outside of Steam’s market-leading platform. Fortnite has managed to attract tens of millions of PC players without being available on Steam, for instance. That fact is arguably to blame for a small dip in Steam’s daily usage earlier this year, as Steam-based competitor PUBG dwindled in popularity. Fortnite also decided to opt out of Google Play and its 30 percent cut for an Android release in September, yet the game still managed to attract 15 million downloads in three weeks on the platform. Other big-name PC game makers are increasingly trying to get around Valve’s stranglehold on the market as well. This year’s Call of Duty: Black Ops 4 was the series’ first entry in years to skip Steam, opting for PC distribution exclusively on Activision Blizzard’s Battle.net instead. Electronic Arts has largely eschewed Steam since 2011 in favor of its own Origin platform and its associated Origin Access subscription program. And CD Projekt’s GOG.com has helped the company grow to quarterly profits of nearly $18 million in the most recent reporting period. Valve’s move comes after Epic lowered its revenue cut from sales of development assets posted in the Unreal Marketplace in July, from 30 percent to 12 percent.